"Bandzoogle" Reviews (Apr 2019) - Why 4.9 Stars? Empowering musicians to compose creative websites, Bandzoogle hits a high note in the crowded website builder space. The specialized platform has been tuned for bands and solo acts to sell music, merchandise, downloads, and tickets — all without extra fees. Bandzoogle includes plenty of perks to take your site from opening act to headliner. 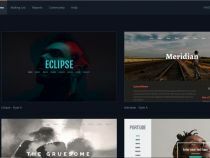 “Created by musicians for musicians, Bandzoogle is a website builder service that lets bands and solo acts rock out online without getting mired in coding and plugins. Everything a group needs — an events calendar, mailing list, blog, and merch store — is wrapped up into one simple, easy-to-use platform. Almost 20 years ago, Bandzoogle Founder Chris Vinson created a website for his alt-rock band, Rubberman, which eventually landed a record deal. Chris worked at the label between tours, building websites for multi-platinum artists — to save time, he created a control panel that allowed managers and artists make their own changes. That idea spawned Bandzoogle, which Chris launched in 2003 to help independent bands and musicians build websites and promote their music. Users can test out Bandzoogle with a 30-day free trial, and the company offers prorated refunds after the first month of a subscription. Prices range from roughly $8 to $17 per month on annual plans, or $10 to $20 if you choose to go month-by-month. The company's cloud hosting platform means no storage limits — plans are instead restricted in the number of pages, songs, photos, and mailing list members added to the site. Pro Plan subscribers, however, have infinite resources to spend. Get started on Bandzoogle now. Laura Bernheim (HostingAdvice.com): This rating is not available yet. 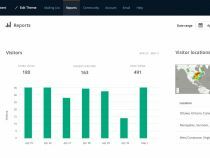 We haven't evaluated Bandzoogle for the "Cheap" option yet as they do not currently offer this type of hosting service. We're always working to keep our reviews up-to-date so check back later! Does Bandzoogle already offer the "Cheap" option? Let us know. Laura Bernheim (HostingAdvice.com): This rating is not available yet. We haven't evaluated Bandzoogle for the "Dedicated" option yet as they do not currently offer this type of hosting service. We're always working to keep our reviews up-to-date so check back later! Does Bandzoogle already offer the "Dedicated" option? Let us know. “Bandzoogle's cloud-powered infrastructure removes storage limitations and allows users' sites to scale as audiences grow. What's more, the most complicated components of a band's website — events calendar, blog, track management, and mailing lists, in particular — are so incredibly easy to operate. To give new mailing list subscribers a free download, all you have to do is check a box and select what song you want to send. Users can easily import blog posts, upload songs from Dropbox or SoundCloud, and integrate with social media profiles and services such as Bandsintown, Bandcamp, NoiseTrade, and other platforms. In the included online storefront, users have an incredible number of options for configuring discount codes, payment settings, and download codes. Site owners must integrate a PayPal Premier or Business account, and choose which currency to accept (you have 25 options but can only choose one). Subscribers to the two lowest-tier Bandzoogle plans are limited to selling only music and physical merchandise, while Pro users can offer tickets, downloads, videos, PDFs, and other media files. Laura Bernheim (HostingAdvice.com): This rating is not available yet. We haven't evaluated Bandzoogle for the "WordPress" option yet as they do not currently offer this type of hosting service. We're always working to keep our reviews up-to-date so check back later! Does Bandzoogle already offer the "WordPress" option? Let us know. “Once you sign in to Bandzoogle, the platform promises you'll have a fully functional website in three quick steps. First is to choose a theme, which is conveniently organized by music genre — yet another sign the company is laser-focused on serving a specific group of people with a particular purpose. There is some overlap among categories, but many themes are flexible enough to appeal to a range of music lovers. Bandzoogle offers more than 100 templates, all of which are optimized and ready to display on mobile devices. Step Two is to upload your header image, and Bandzoogle gives users helpful tips about what makes a great file to use. The final step is to set your title or upload a logo; all the adjustments are easily accessible, and you can change the text either on the screen or within the editor interface. From there, Bandzoogle leaves you to stun audiences with the perfect drum solo — er, website. While Bandzoogle technically delivers the promised functional website at this point, it's still filled with dummy text. That unheralded fourth step, customizing the content and uploading media, is where bands and site builders can truly strike a power chord — or riff horribly off key. Try out Bandzoogle with a 30-day free trial. Affordable, yet robust, plans unlock a free domain name registration that sticks with you for the life of your account. The company's cloud infrastructure is built for performance, reliability, and scaling. The lower-tier plans restrict users, not by gigabytes, but rather the number of songs, pages, and email subscribers. Created and staffed by musicians, customer support is delivered promptly and seven days a week via community forums, email tickets, and live chat. Connect with fans by collecting email subscribers and designing templates for newsletters and announcements. Schedule mailings in advance and track their effectiveness with reports. Bandzoogle's built-in calendar feature enables you to easily promote events, concerts, and tours. Add your info with just a few clicks, or sync with Bandsintown. Receive detailed reports on how many fans you have and where they came from. Analytics cover website traffic, email subscriptions, merchandise sales, and song listens. All users can launch an online store in just two clicks. The Bandzoogle platform is responsible for more than $32 million in sales — all without taking a commission. Depending on your plan, you can sell songs, albums, download codes, tickets, physical merchandise, videos, and other files with ease. Offer music at the prices you want. Choose which of 25 currencies to accept, then connect your store to a PayPal account to take payments. Alternatively, you can embed external widgets or integrate with several top distribution platforms. Bandzoogle's flexible store options let you offer music for free, charge a set amount, or let fans name their price. Add lyrics, set preview durations, and choose between selling albums, singles, or both. Included in the top-tier plan, the built-in ticketing system sends users a professional, printable ticket via email. At the venue, you can use a mobile-friendly guest list. Sell physical merchandise, set up discount and download codes, as well as PDF sheet music. Tools help you track inventory and bundle physical and digital sales. Simple items, such as text and images, can be edited right on the screen with Bandzoogle's unobtrusive editor. Changing more complicated sections, however, brings up a somewhat jarring full-screen interface that blocks your view of the website. We understand needing more room for more settings, but elements like the mailing list signup form and call-to-action header only have three changeable fields. We're a little surprised the mailing list management platform doesn't come with pre-designed email templates. Instead, you're greeted with a starkly blank white screen to build upon. While we appreciate the flexibility, we'd rather see lightweight email themes that match the site template; builders are supposed to alleviate as much of the design process as possible for non-developers. All in all, however, Bandzoogle users will be well-served by the robust features that are exceedingly easy to configure. With plans starting in the neighborhood of $10 per month, Bandzoogle is not the cheapest website builder option on the market — but for musicians who are serious about promoting and selling their music, the price tag is more than justified. The company puts a full orchestra of instruments at users' disposal, and each one is carefully crafted for the specific requirements of the music industry. Unlike most website builders, Bandzoogle excels at customer support. All Bandzoogle employees are musicians, so they'll be sure to help you out with harmonious feedback and assistance. They're available seven days a week via live chat and email tickets. From the Bandzoogle interface, users can also access community forums. In addition to crowd-sourcing help and advice, users can suggest a new feature and learn about tips and ticks. Naturally, Bandzoogle also includes an "open mic" forum for musicians to ask for website critiques, announce new albums or tours, buy and sell gear, share road stories, recruit new members, and discuss business management and studio production issues. If that's not enough, a link to a robust knowledgebase is just pixels away, as are links to more support. Bandzoogle might not have the widespread name recognition of the major website builders, but musicians can really thrive with the platform's robust feature set. Although the platform is more expensive than some of the mass-market options in the industry, Bandzoogle is still quite a bargain. Bands and musicians will appreciate the free and flexible online store, plus email marketing, blogging, and event management tools — all of which are geared toward making web development as easy as possible. Bandzoogle's energetic offering keeps the beat with passionate employees that offer a surprisingly high level of support compared with other platforms. 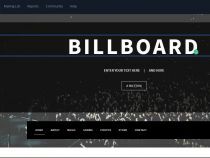 With unbelievably easy-to-use features that cover the full scale of tools needed to successfully promote and sell music, artists' websites will be sure to receive a standing ovation. Ba-dum tish!